The support for openSUSE 12.3 has ended on January 29th 2015 after over 21 months of lifetime. openSUSE 12.3 was released on Wednesday, March 13, 2013. As our latest release, this brings the best of Free Software in the familiar openSUSE package: stable and complete. Please read the Release Notes for important information before installing the distribution. As this was a shorter-than-normal cycle, much attention went into the details. openSUSE 12.3 finishes the integration of systemd and delivers a better system log experience with journald. Package management received work to let the GUI tools work more reliably and a new theme brings a consistent experience from boot to desktop. openSUSE moved to a size of 1GB for our Live images and the ARM delivers a stable openSUSE 12.3 ARMv7 for this exciting architecture while a first preview of 64bit ARM images is available as well. The latest desktops bring additional polish to the users with much faster metadata handling, a new print manager and improved bluetooth integration in KDE’s Plasma Desktop and GNOME Shell bringing improved notifications, better file management and Account integration for MS Exchange. openSUSE 12.3 brings new technologies to users with the inclusion of PostgreSQL 9.2 which comes with Native JSON support (noSQL style). We've moved over from MySQL to MariaDB as default. This is the first openSUSE release with a complete OpenStack "Folsom" for cloud fans and this release debuts the E17 desktop and the Sawfish and awesome window managers. 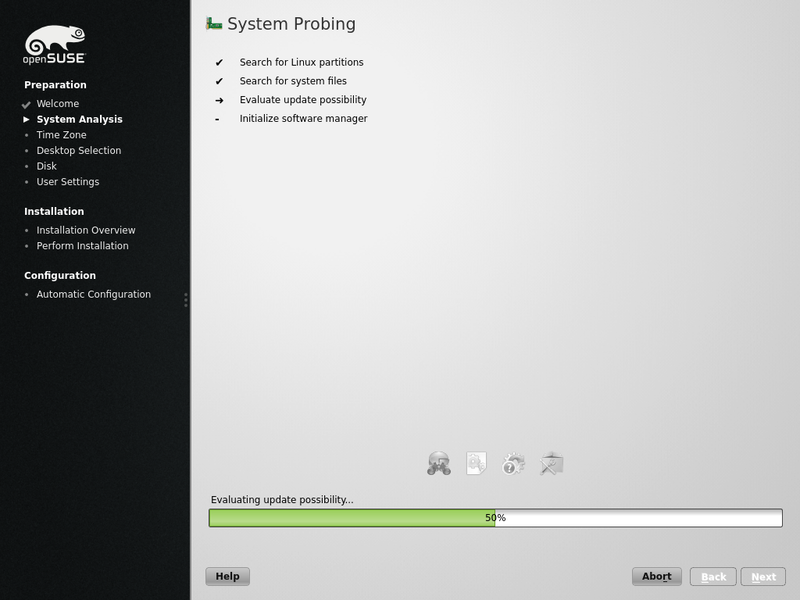 openSUSE moves forward with the inclusion of updated applications. DigiKam 3.0 comes with much expanded abilities for batch processing of images and new and improved filters and plugins; the major PIM applications received updates with Evolution now having an automatically updated search folder and spell checking all over while Kontact's quick filter searches the full mail bodies and has an improved composer. Development tools like KDevelop, MonoDevelop and Valgrind got preliminary Android support; Development libraries like GTK3 and KDE Development Platform are included with new releases. This release also brings proper UEFI support for x86_64 hardware and experimental support for Secure Boot enabled hardware. This article has no real purpose. This page was last modified on 1 June 2018, at 00:05. This page has been accessed 577,492 times.